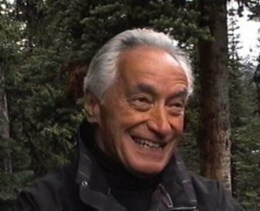 Mel Hurtig, one of Canada’s most-celebrated economic nationalists. 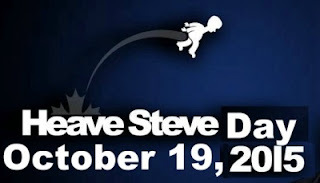 His latest book 'The Arrogant Autocrat: Stephen Harper's Takeover of Canada' was written as “a wake-up call to Canadians” and to convince them “to reclaim our democracy and our country before it is too late.” Mel is incensed by the sweep of Conservative legislation under Stephen Harper, in particular the recent wide-reaching anti-terrorism bill, and earlier the slashing of waterway and environmental protections, muzzling of scientists on climate change, and gutting of Canada's research libraries. Recently The Tyee ran a series of slices of Hurtig's razor-like condemnation of Harper's economic policies: one on how Canada got less competitive under Harper, another on how takeovers and secret trade agreements have eroded our sovereignty and self-determination, another on how the Harper government's jobs and economy growth record is the worst since the early 1930's and another on how Harper ate up a huge federal surplus and piled up six deficits. As of today, Sept 14th, according to the CBC's poll tracker - a poll of polls designed to tell the broadest possible polling results day by day. The headline though in almost every mainstream media outlet is that it's a 3 way dead heat [within the margins of error] with the Greens and the Bloc getting about 10% between them. What the headline either misses or doesn't think will grab enough audience is that that means 70% of Canadian voters want to dump Harper and his cohort out. The only reason it can called a 3 way horserace is because of the undemocratic First Past the Post voting system which the NDP, Liberals and Greens all promise to throw out in favor of some form of Proportional Representation if/when elected. Harper faces an opposition divided by longtime historic hatred between the Libs and NDP and has in the past won because of the split vote in many swing ridings. The obvious solution would be for some type of co-operative effort which would give them both what they want but like Prisoner's Dilemma game theory states, they are both trapped in a negative loop by past non-co-operation. There seems little hope that these two teams of partisans can change even though Elizabeth May of the Greens has offered to be a go between.